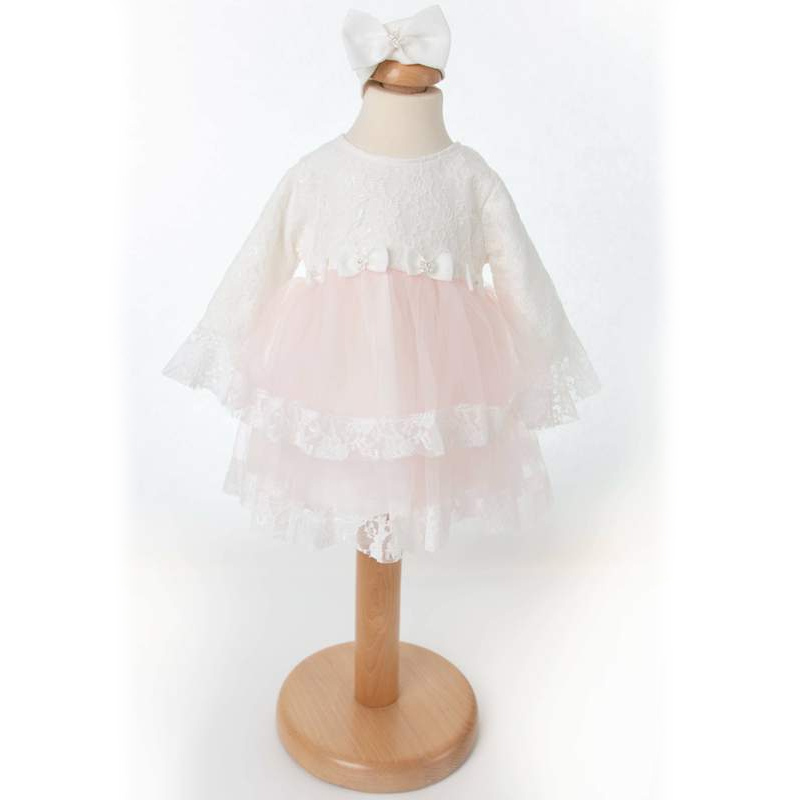 Baby girls pink & ivory lace long sleeve dress & headband. The perfect baby girls christening dress for her special day. Dress: This beautiful dress in a light ivory has an overlay of shimmery lace to the bodice, with long lace lined sleeves. The waistline has four shimmery bows adorned with a flower and diamante motifs. The tiered soft tulle pink skirt is hemmed with lace with cotton lining. Button popper fastening to the back of the bodice. Headband: Soft ivory cotton headband with large shimmery bow adorned with matching flower and diamante motif.